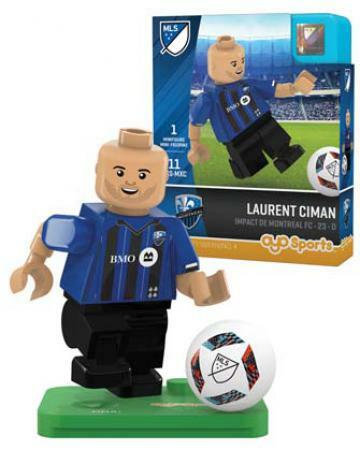 Take the field with your own OYO Sports MLS minifigure! Bendable knees and elbows mean that your minifigure is ready to run, kick, shoot and score. With details and accessories like authentic team uniform, hair, soccer ball, team hat and more…get ready to bring soccer action home to you. The perfect gift for the biggest (and littlest!) sports fan in your life. Accessories: Authentic team uniform, hair, soccer ball, team hat and headphones.